Okay, so I’m a month behind. November was National Adoption Month and I’m just now getting around to this. I hadn’t pinpointed anything specific I wanted to write about until something I said on the air resulted in some email from a couple of listeners. We were talking about Madonna stripping down to her underwear onstage. I mentioned that it wasn’t surprising Madonna would strip down onstage (it would be more shocking if she didn’t strip down) but it was a little creepy she did it in front of her adopted son who was onstage with her performing as the show’s DJ. On the air today you said something about Madonna's "adopted son." He is her son--period. There is no need to explain how he became her son. I certainly didn’t intend to upset anyone with my comment….I’ve said much more offensive things on the air. J But the email got me thinking. There were many classes I attended before adopting my son and I remember one of them addressing this topic. They told us, once you adopt a child, you are a PARENT. That child is yours. You are their parent. While I completely understand the thought process, I wasn’t 100% on board with it. I couldn’t help but think about the birth-mom. (Just as an FYI….the birth-father was not in the picture throughout the birth-mother’s pregnancy) This was something that was also discussed in class…. to always respect and remember the sacrifice the birthparents made in giving you the most blessed gift of life. 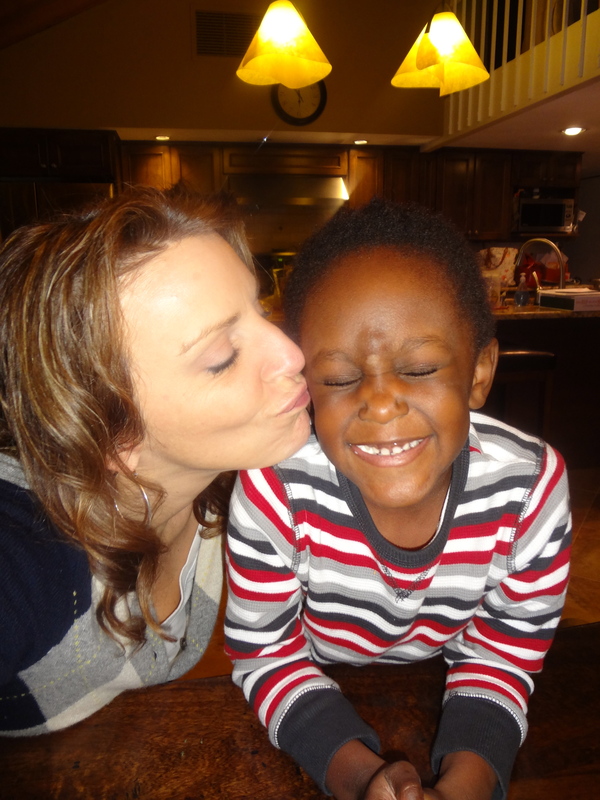 The woman commented in her email, “there is no need to explain how he became her son.” I wanted to agree with her because I felt like I was supposed to…..that it was the politically correct thing to do plus, it follows the mentality of what I was taught in the adoption classes. But when I really think about it……I’m PROUD to say Allen is my adopted son. There is a part of me that will always think of the birth-mom when talking about my son. Maybe it’s because we have an open adoption. We were fortunate to have the chance to meet her prior to the adoption and have kept in touch with ever since. Perhaps I feel the need to explain my son is adopted because I will never forget the day we brought him home. We were prepared through our classes for everything possible. But there are no teachers, no books, no words that can truly prepare someone for that exact moment. We met at the adoption agency. She was in a rocking chair giving him a bottle. (Allen was 3 months old at the time) We made some small talk and then she stood up and handed her precious little boy to me. I took him in my arms, looked at her, and was utterly speechless. As I held Allen in my arms, I looked at her with just tears in my eyes. How do you say “thank you?” Those words seemed profoundly unfitting. There really were no words that could express the emotions I was feeling. I just cried. I cried for her, unable to comprehend what she could be feeling. And I cried for the pure joy my heart was filled with at that moment. Becoming a parent is the true definition of blessing. ….regardless of HOW it happens. But I will never feel guilty for calling Allen my adopted son. It’s just my way of honoring the birthmother and all she sacrificed to give this precious baby boy a chance in life.